Home > News > Go Generic! 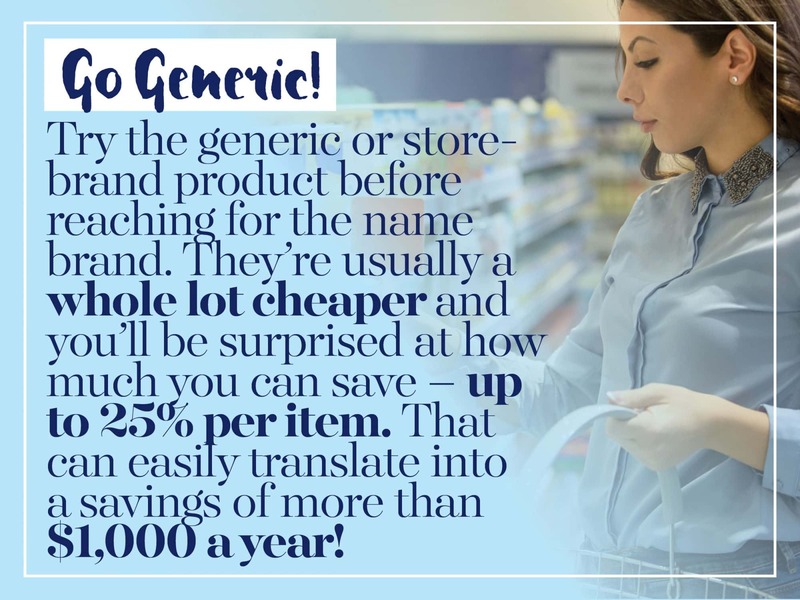 Try the generic or store-brand product before reaching for the name brand. They’re usually a whole lot cheaper and you’ll be surprised at how much you can save – up to 25% per item. That can easily translate into a savings of more than $1,000 a year! Which store brands do you find have quality that is comparable to name brands? Share your best finds with us on Facebook or Twitter!